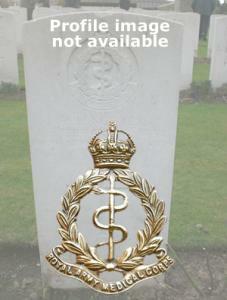 John enlisted into the Medical Staff Corps on 4th October 1897. He was 22 years of age, and was a Weaver by trade. From 14th July 1898 until 20th May 1899 he served in Egypt. He then returned to the UK, where he served until 31st December 1899 when he was posted to South Africa. He remained there until 23rd September 1902. He entered the war in France on 16th August 1914, as part of the Regimental Medical Officer's team for the 1st Bn. East Surrey Regiment. He was the son of James and Ann; and the husband of Maude.